Sony is already developing working demos of 'holographic' gaming technology according to a SCE studio director. Sony's Mick Hocking - a studio director up at Sony's Liverpool Studio - revealed a little more about the developments in the latest cutting-edge PS3 tech in a recent interview with Develop magazine. Sony has been teasing gamers with mentions of holographic gaming technologies being developed at some point in the next decade, with Hocking providing further clarification on how this might work on current PS3 console tech. Sony has "techniques like holographics for the PS3 that I think will be very interesting for the future 3D games," said Hocking – talking about the marriage of the latest 3D games with head-tracking tech. So we are not (yet) looking at floating Princess Leia-style characters wandering around our living rooms! Rather, Sony is clearly looking to develop games that bring together stereoscopic 3D content with head-tracking that follows the position and movements of your face. Hocking's team reportedly already has working demos of this type of control tech up in Liverpool, so we will hopefully see more of those at the next Games Developers Conference (GDC 2011) next March in San Francisco, if not before. Gran Turismo 5 already uses 3D and head tracking via the PS Eye, but it works in a fairly rudimentary way, tracking the position of your head in space as opposed to the direction in which you are looking. 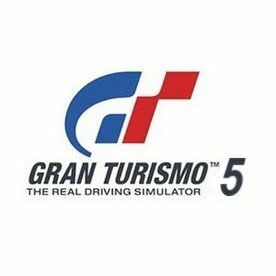 We can only hope that full head-tracking will be worked into one of the forthcoming downloadable updates for GT5 promised by Polyphony's Kazunori Yamauchi.